The tiles in the bathroom need some work. You can see the cracks, feel the loose ones under your feet and maybe a couple is missing. It can happen over time and even dirty, stained tiles ruin the look of a nice bathroom. Industry stats show that 53% of us undertook a home improvement project in the last year. It is an excellent way to add value to a home and to improve it for the family. The question now is, do you take on the tiling work or do you call in a tile replacement expert? Naturally enough we at the Grout Medic believe in getting an expert in, but why should you take our word on the subject? The following list outlines reasons why calling in a tile replacement expert is better than doing the job yourself. You may stand there scratching your head wondering what next, but our technicians will know immediately what needs doing. They will see where you need grout repair and grout cleaning. Their experience will save you money in the long term, as well as improving the look of your bathroom. At the Grout Medic, we have seen it all before. We know when tile replacement is the way to go and more importantly how to do the job properly. DIY tile repair may save money, but often it is no better than a temporary solution. 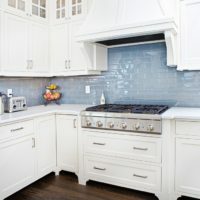 If you take on the tile replacement where do you start and where do you end? Do you know how to take a tile out without cracking all those around it? You could damage at least four other tiles connected to the broken one. It could be like walking on ice and seeing the cracks spread as you try to turn away. The tile replacement expert will know how to do the job properly. They will have the right equipment and the skill to lift that one tile without damaging the others. An expert will also know how to slot the new one in, without it looking out of place. When replacing the broken or cracked tile, you will need to do the grout repair correctly also. If you get this one wrong, there could be a whole load of unseen damage coming down the track. Water may seep in, without you knowing it, rotting the structure behind the tiles. A tile replacement expert will use the correct grout, do the job entirely and seal it, to keep the water out. It’s these little touches that you know nothing about, which may save you a lot of money in the long run. An expert will take a look at your bathroom and know immediately what needs doing. Not only will they replace the damaged tiles but they can do grout repair, grout cleaning and grout sealing where needed too. The Grout Medic tile and grout cleaning system removes lingering smells and years of dirt will lift away as we steam. The whole job will make the bathroom look and feel like new again. Tile replacing and grout cleaning will take an expert only a short time. A Grout Medic technician will have your bathroom back like new before you know it. How long do you want it to be a no-go construction site when doing the work yourself? Call in the experts today. What Kind of Services Can You Find at Grout Medic?